The Australian Competition and Consumer Commission (ACCC) has taken action to reiterate the importance of transparency between businesses and consumers by requiring adequate disclosure. The ACCC action has also emphasised the importance of consumer rights to a refund for faulty products or services. The ACCC announced on 5 June 2018 that it had has issued planned meal program provider Jenny Craig with three infringement notices totalling $37,800 for alleged false and misleading representations made in its “10kg for $10” television advertisements which aired between December 2017 and February 2018. 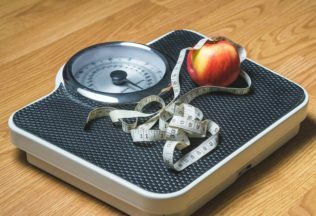 The ACCC alleged that Jenny Craig not only failed to adequately disclose to customers that food had to be purchased at an additional cost but also that the person featured in the online testimonial video was a Jenny Craig employee. The Australian Consumer Law, which is designed to protect consumers, expressly prohibits businesses from making false or misleading claims regarding the price of goods or testimonials regarding goods. In addition, the ACCC alleged that Jenny Craig’s membership contract misrepresented customers’ rights to a refund in relation to faulty products – requiring customers to notify Jenny Craig and return the products in their original packaging within 10 days. Ms Court said ‘if a product fails to meet the consumer guarantees under the Australian Consumer Law, people are automatically entitled to a remedy, even if they did not comply with the notice and return requirements in the contract.